DAVID WESTIN, Anchor, Bloomberg TV: You're watching Balance of Power. I'm David Westin. The United States’ relations with Russia are strained with conflicting positions in Ukraine and Syria; Russian attempts to interfere with American and other western elections; and an investigation into whether President Trump or those around him may have had improper connections to Russia; all of which may have taken some of the momentum out of the ongoing work between the two countries to reduce nuclear weapons. 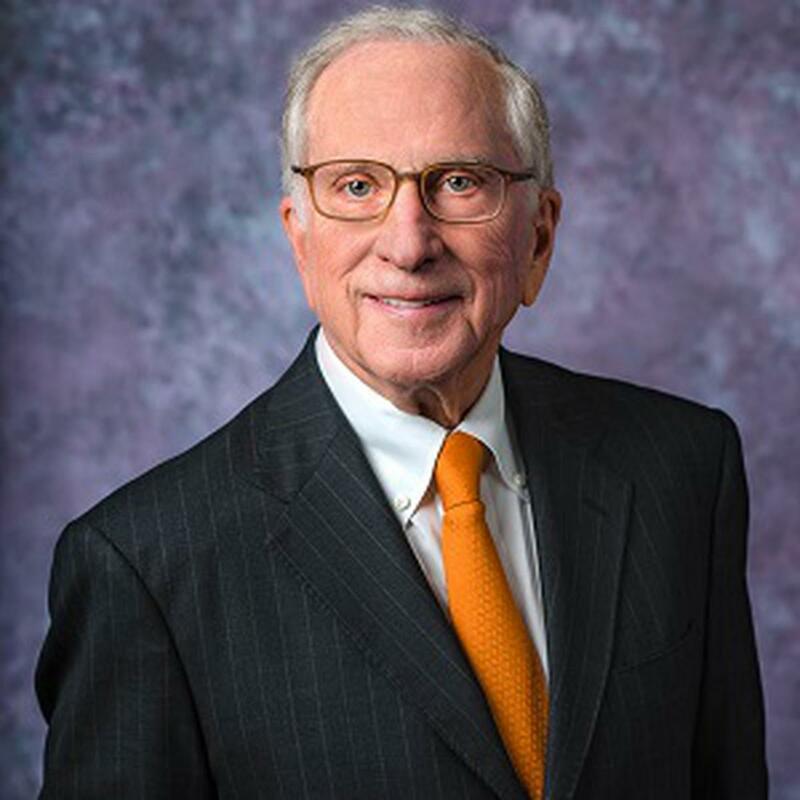 Since his time in the Senate representing his home state of Georgia, Sam Nunn has devoted enormous time and effort to making sure we continue to make progress on this front no matter what the obstacles. He is now co-chair of the Nuclear Threat Initiative, and we welcome Senator Nunn back to Bloomberg coming to us today from Atlanta. Thank you so much for your time today. SENATOR NUNN: Thank you, David. WESTIN: So give us your assessments, Senator, if you would. Can we continue to make progress on the nuclear front despite all these other conflicts and tensions that we have with Mr. Putin in Russia? NUNN: Well, I start with the proposition that 90 percent of the nuclear weapons in the world, and 90 percent of the nuclear materials, are owned and possessed and operated by the United States and Russia. So that gives us an existential common interest. The second proposition is that I think the nuclear equation in terms of the possibility of a blunder, a mistake, some type of false warning, has gone up. I think cyber interference, possible interference with command and control or warning systems, make the whole nuclear risk go up. And the United States and Russia need to be talking about rules of the road, not necessarily a treaty, but rules of the road on not interfering with each other's command and control, which could produce a false warning. So we're not talking to Russia like we did even during the Cold War, certainly not like we did during the '90s, and that's understandable, because we are in considerable amount of strained relations over Syria, the Middle East, as well as Ukraine and Crimea. But on existential common interests, which in my book the nuclear risks are in that category, they threaten both of our countries' survival and indeed most of the world, we've got to talk to them and we've got to find a way -- even while the Mueller investigation is going on, we've got to find a way -- even though we may not like the leadership in Russia and they may not like the leadership in the United States, we still have to talk. And for that kind of discussion, I think Congress has got to step up to the plate. I would like to see them create a leadership liaison group, first to coordinate Russia and nuclear policy with the administration, with the State Department and Defense Department in particular, and second to begin at some point to have dialogue with other leadership in Russia beyond Putin. We can't treat Russia as if it's only President Putin. We've got to branch out in terms of our dialogue, if we want our children and grandchildren to live in a world where the nuclear risks do not get completely out of control. WESTIN: So Senator, when I think of Nunn-Lugar, that legislation that you proposed with Senator Lugar, I think of decommissioning weapons basically. I don't think of cybersecurity. I don't think the word maybe even existed when that legislation was enacted. To the best of your knowledge, is there active discussions going on the subject you raised -- that is between United States and Russia about how the cyber issue had really changed the nuclear threat? NUNN: Well, it has changed the nuclear threat, and we have a stake not only in making sure that cyber interference doesn't occur with our own nuclear warning, but we've got a vital stake in making sure the Russian warning systems are not in any way interfered with, where they get a false warning because they're aiming their weapons mainly at us. This also applies to India and Pakistan. The United States and Russia should be taking a lead in developing informal red lines about any country that has nuclear weapons, because we've democratized weapons of mass destruction and disruption, and I include cyber in the disruption category. Small groups can do a lot more damage now with nuclear weapons, with radiological dirty bomb weapons, with biological weapons. And so we are indeed, as I've said a number of times, in a race between cooperation and catastrophe, but the major powers are having a very hard time communicating, let alone coordinating. WESTIN: So Senator, you're urging us to move forward and to make progress. What about just holding on to what we have and I want to talk about specifically the Intermediate Nuclear Forces agreement which goes back some 30 years I believe to the United States and Russia? There's a deadline, as I understand it, coming up this weekend, and President Trump has indicated he no longer wants to follow that. What sort of risk would that pose if we in fact walk away from that? NUNN: Well, the INF agreement limits medium-range missiles. Those are missiles that would be deployed in Europe and it would shorten warning time, because any missile deployed in Europe would make warning time for the British forces, the nuclear forces in France, as well as the Russian decision time, much shorter because of the time and the range. So it is an important treaty that was entered into under Ronald Reagan. I think it would be a very bad mistake for the United States and Russia to let that treaty expire. I think it would carry over to the strategic agreements. We have START which is going to be expiring. So for a lot of reasons we need to find an answer here. And I would say under two administrations, both the Obama administration and the Trump administration, there is a very strong feeling with a lot of evidence that the Russians are cheating on the treaty. We cannot permit that. The Russians have now said we can inspect the missile. We've said, well, that's not enough. We can't tell the range by just looking at the missile, but there's got to be a technical way to work this out with countries if they have goodwill. And that's another reason to have much more communication with Russia. The worst case for the United States is we end up getting out of the treaty. There is no treaty, the Russians deploy missiles all over Europe and we don't find allies in Europe who're willing to have American missiles deployed on their soil. We've been to that movie before. So this is not a situation where Plan B looks promising for anyone. WESTIN: So finally, Senator, we've talked about Russia, we've talked about India briefly, about Pakistan. Let's turn to North Korea and Iran because we saw Dan Coats, the Director of National Intelligence, testifying before Congress just a couple of hours ago now. And what he said in part was, look, we don't believe -- our best assessment is the North Koreans will never give up their nuclear weapons. On the other hand, we don't see as much of a threat from Iran when it comes to nuclear weapons. Now that seems to be exactly the reverse of what President Trump's administration is saying. They're saying we believe we can make great progress in North Korea, but we can't make progress with Iran. From what you know of these two nuclear powers, who's right? NUNN: Well, the North Koreans already have nuclear weapons, and the Iranians do not have nuclear weapons. So those are two different threats, but both are threats. I have a lot of confidence in Director Coats, and I would think that's what the intelligence is showing. I think he's a very honorable, honest individual. I served with him in the Senate, so I would take what he says very seriously. I do think there's an opening here with North Korea. I think there's an opening for dialogue, but it's not going to be a Hail Mary pass. It's going to be three yards and a cloud of dust. I think we've got to find ways to basically stop the nuclear program, stop the production of weapons material, and they have not done that yet. The North Koreans have stopped the missile tests, and they have stopped the nuclear tests. So progress has been made. This next summit conference between President Trump and Kim holds real promise, but there's got to be a road map; there's got to be a lot of hard work. I don't see anything short of “we do certain things, they do certain things”. There's going to be back and forth, and one of the things we learned on the so-called Nunn-Lugar program was we could pay for performance, not pay in advance, but when achievements are actually accomplished, we could help reimburse for those. In the meantime, we've also got to stop any kind of temptation of nuclear scientists in North Korea ending up in other countries, further exposing the world to risk. On the Iranian situation, as I see it, David, we've thrown away Plan A which was the agreement, which was aimed only at the nuclear program in Iran, not at their behavior, not at missile technology, so some criticized it. But now we continue to have all three problems, the nuclear problem, the threat that they may start back their program, as well as the behavior problem and the missile problem. Right now we ought to be focusing with our allies and with Russia and China on stopping the behavior problem in the Middle East that we have trouble with Iran on and also the missile problem. But instead of that, we are in a fight with our allies about secondary boycotts, because we've come out of the agreement that we helped craft under the Obama administration and now we are basically quarreling with the allies about further sanctions. So it’s not a good situation. When you break a treaty that’s been carefully negotiated, and you don't have a Plan B and you basically abandon your allies, it is what I would call a mess. So we've got to untangle this mess and get back working with our allies, as General Mattis said a number of times. WESTIN: Senator, thank you so much for your time. It's always good to hear from you on these subjects. That is Senator Sam Nunn, he is now Nuclear Threat Initiative co-chair.